If I had the money and the room for multiple car acquisitions then I might buy a GTO of this vintage. Despite being only two letters in length “if” is a very big word. If you are a car person, and since you’re reading this blog you probably are, then you should watch the Mecum broadcasts on NBCSN. As I have written here before, I very much enjoy the telecasts. Every on-air person (Bill Stephens, Stephen Cox, Katie Osborne in addition to Scott and John) makes a meaningful contribution to the effort, but an element of levity exists that is missing from other similar broadcast efforts. The Mecum crew love cars and love the auctions, but they don’t always take themselves quite so seriously and that adds to the show in my opinion. Two very faded and somewhat blurry photos of my first car, a 1967 Pontiac GTO. These were taken outside my college dorm in my second year. As was the style for many muscle cars of the era, my GTO was set up with a “California Rake” where the rear was higher than the front. My father and I achieved that look with the use of very stiff rear springs that were taller than stock. OK, now it’s time for a less than interesting story of the “pat yourself on the back” variety. The reason I wrote “in my second year” and not “my sophomore year” is that I entered college as, basically, a sophomore. If I had written “junior year” then the inference would have been it was my third year. 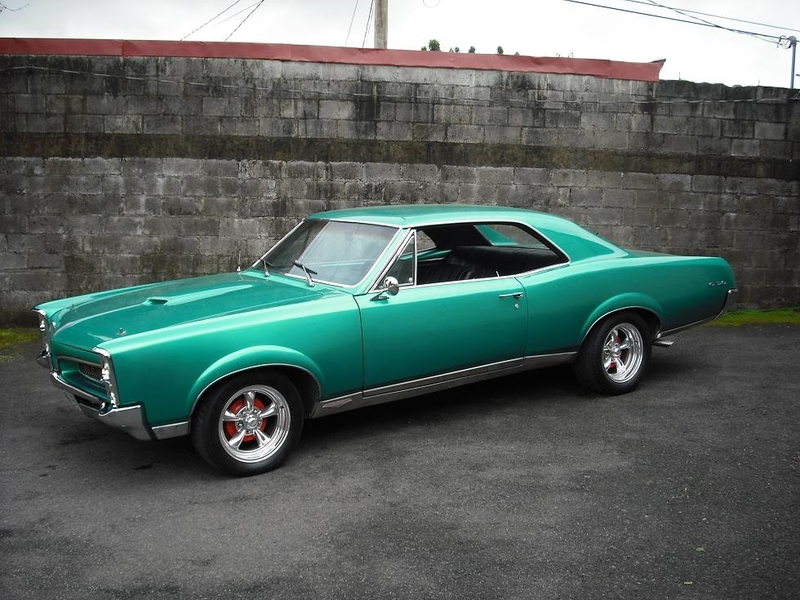 While, of course, I am hardly an objective observer I still think the 1967 GTO is a beautiful car. Does anyone think I can find out what happened to the car by using the license plate? P.S. Almost every day at least one person in the US is reading this blog very early in the morning, before 6 AM Eastern/3 AM Pacific. I would very much appreciate if that person(s) would tell others about the blog and pass on the URL. (https://disaffectedmusings.com) In general, I would be grateful if everyone who reads this blog on a regular or semi-regular basis, even if they know me personally, would spread the word and the blog URL. Thanks. It would also be great if you would sign up to follow the blog; you don’t even have to have a WordPress account. You can sign up with your email address. In my previous blog I posted about the cars that had gotten away. That post was inspired by a similar one in Automobile Magazine. From cardomain.com a picture of a 1967 Pontiac GTO in an admittedly non-standard color. My first car was a 1967 GTO, purchased for me by my father for the very large sum of $300. Granted, this was more than 40 years ago, but that wasn’t a lot of money even then. My GTO had the standard engine, a 400 cubic-inch V-8 rated at 335 HP and 441 LB-FT of torque. It had a Turbo Hydra-Matic 400 automatic transmission with the Hurst “His and Hers” shift on the floor. We fitted the car with large radials (so large, in fact, that the front tires scraped the wheel wells on sharp turns) and stiffer springs in order to improve the handling, but it was never going to be a great-handling car. My car was originally light blue with a black top, but after an accident two weeks before I was supposed to leave for college, the car was re-painted (in a repair bay in my father’s gas station) dark blue all over. As part of the restoration we purchased “mag” wheels that looked like Cragars, but didn’t cost as much. After fighting with the insurance company over the settlement, they gave us a decent amount of money and they let us keep the car, which we then sold as is. Many people miss their first car, but I really miss my first car. This is a picture of my 2007 Corvette. I bought it new to “replace” the 2002 Corvette I had purchased used in 2004. When I decided to take the Corvette plunge, I thought I would buy a used one in the event I didn’t like it I wouldn’t have spent the money for a new one. The fact that I purchased a new one should tell you what I thought of the 2002. In cold black and white, no comparison exists between the 2007 Corvette and the 1967 GTO. The Corvette was powered by a 364 cubic-inch V-8 that produced 400 HP and 400 LB-FT of torque. It weighed about 3,200 pounds compared to the GTO weight of about 3,600 pounds. The Corvette had power disc brakes with ABS; the GTO had undersized drum brakes without ABS, of course. The Vette had navigation, modern suspension, modern steering and a modern automatic transmission. I managed about 20 MPG with the Corvette and about 12 MPG with the GTO, although I almost never paid for gas with the Goat as, once again, my father ran a gas station. Not to brag, but the 2007 Corvette was not a financial stretch at all. I traded in my 2002 Vette and simply paid cash for the difference. My baseball business was doing very well at the time. A little more than three years later I lost my business and sold the car in a panic as I thought I needed to raise cash. Although I have a nice car now and my wonderful wife has a 2015 Corvette that I can drive when I want, I miss my 2007 Corvette. I think I miss what it represents, a time when I was very satisfied with my career, as much as I miss the actual car. Don’t take anything (or anyone) for granted as fate can often be a cruel mistress. I don’t know what possessed me to write about this today, but below is a picture that represents my first car. I think I have some actual pictures somewhere and maybe someday I’ll find them and post them. 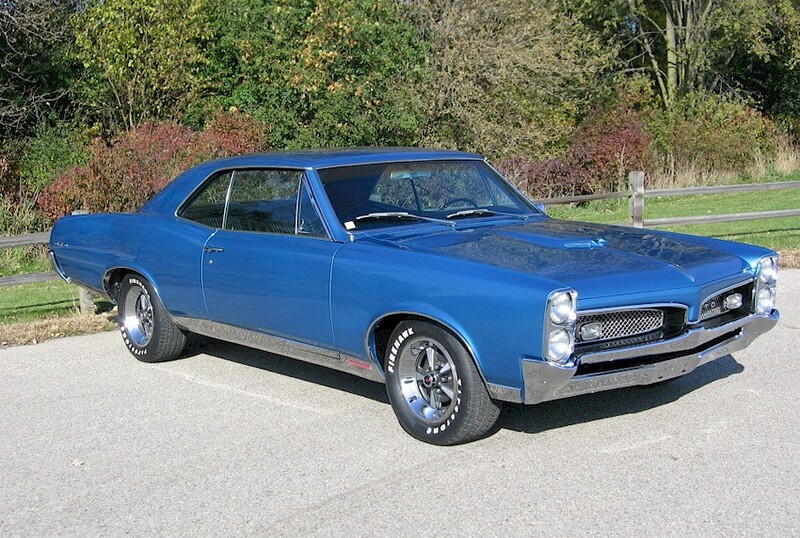 From cargurus.com a picture of a 1967 Pontiac GTO. My car didn’t have the stock Pontiac wheels, but it had “mag” wheels with raised-letter tires and it was painted blue. My father paid $300 for the car and then proceeded to rebuild the top end of the engine: new valves, rocker arms, lifters, timing gear and chain. It had the “base” 400 cubic inch V8 rated at 335 HP. We put 60-series radial tires in the back and 70-series in the front. The change to radial tires helped the handling significantly, as did putting on more rigid springs, but it was a 1960’s muscle car and handling was never going to be its forte. After a serious accident, the car was out of commission for five months being rebuilt and repainted and since the accident had broken the right exhaust manifold we decided to put exhaust headers on the engine. A year and a half later someone smashed into the back of the car as I was sitting a red light while driving home from my summer job. That, basically, was the end of the car. I think many people miss their first car and, as you can imagine, I REALLY miss mine.